As the Park continues development, revenues will increase and expenditures decline. In five years (Fiscal Period ending 2023-24), projected revenues total $34,278K and expenditures total $30,878K with a favorable balance of $3,400K. It was estimated the development of the “Cultural Terrace” would require 4 to 7 years. The commission approved this budget with a unanimous vote. Public Comments: One person commented regarding the Community Budget Meeting held at Quail Hill. 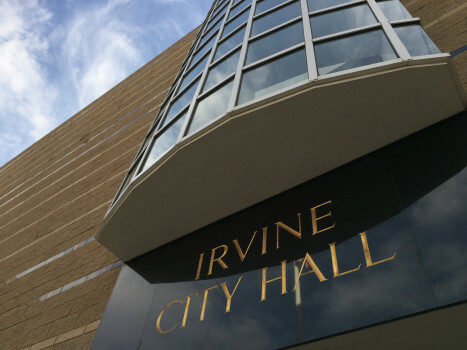 She said the citizens attending the meeting were concerned about the budget decrease in the city’s contributions to the Irvine Public Schools and to please reconsider this decision. She also stated Irvine Watchdog appreciates the transparency that the Community Budget Meetings offer to Irvine’s residents. Consent Calendar: Two items approved. Minutes from the previous meeting and the transfer for use of funds from the Emergency Performance Grant to the Public Safety Department. Public Safety will use the funds for ongoing emergency preparedness efforts. Jim Shute was appointed to serve on the Citywide Circulation Task Force. The new software will aid in the systematic regular maintenance of city assets, the budgeting of these costs and needed capital expenditures. Also included in the presentation was the subject of risk management. The city uses both insurance and self-insurance. The city purchases insurance for property damage, cyber and pollution liability, crime, Great Park premises, and auto damage. The city belongs to a self-insurance pool with other area cities. This insurance includes worker’s compensation, general and auto liability and employment practices. Extensive detail was provided for the self-insurance pool. The commissioners approved these new policies, which will be included in the budget. An analysis of the actual expenditures versus revenues for the period ended 12/31/2018 shows a favorable 2018-19 balance of $2.7 million. The favorable balance is due to higher than expected one-time documentary transfer tax, lower than projected salaries and benefits, and Public Works contract service. The commissioners approved the budget with little discussion.